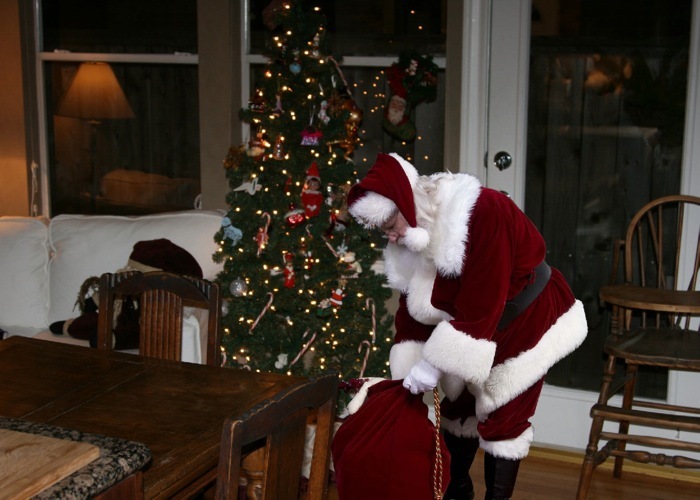 I'm a huge Santa fan which is why we instantly fell in LOVE with iCaughtSanta.com. Designers Nursery is giving one of her readers a $150 Gift Certificate. Visit Designers Nursery to view their full selection of baby bedding, baby shower favors, baby furniture, baby blankets, and much more! THANK YOU to everyone who participated, shared our links, donated, sent letters and more!! We were able to get all the things below for the troops and for the kids this year. Lets hope they are all home for the holidays next year!! GameStop and VideoGamesEtc came together for me and we were able to get... a 4G Xbox360Slim, 4 controllers, 6 games, 1 Wii system, 4 games, remote charger, wheel/accessories. With Build A Bears help - 25 Build A Bears to send back home to the kids on base!! 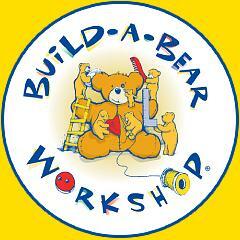 This holiday season, Build-A-Bear Workshop® is inviting you and your family to get your wish on. With brand-new furry friends from the latest holiday movies, classic and celebrity characters, hi-tech Kinect enabled bears, gifts that give back, holiday traditions, customized presents and fun stocking stuffers, Build-A-Bear Workshop will be on everyone's wish list this year. From those searching for the perfect stuffed animal for that special someone to a child discovering the joy of creating a personalized furry friend, Build-A-Bear Workshop invites you to check out the array of gift options that are sure to bring smiles long after the season is over. Who doesn't love a great deal, especially during the holidays? Build-A-Bear Workshop knows Moms want to stretch our "bear bucks" as much as possible, which is why they're introducing a great promotion this season. Starting today through 12/18/11, you can purchase any animal PLUS any outfit for just $24.99 (USD). That's a great price for a friend that will last a lifetime! 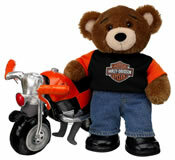 I also want to say that Build-A-Bear donated bears to our troops kids back home AGAIN this year. We want to thank them... they are cherished each year we can work with them!! THANK YOU BAB!! 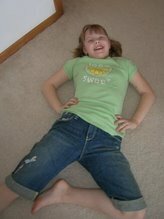 Disclosure: I was entered for a chance to win a Build-A-Bear Workshop gift card in exchange for this post. No monetary exchange took place. All opinions are my own. Karo Syrup wants to celebrate all holiday baking recipes! 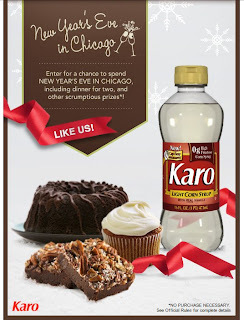 Consumers who share their favorite recipe to bake in Karo's Recipe Sweepstakes are entered to win a special New Year's Eve package in Chicago, including a two-night stay at the Wit Hotel, dinner at Mastro's Steakhouse and a chocolate tour. Visit the "Tis the Season" tab at www.Facebook.com/KaroSyrup to share your recipe, enter to win this fabulous trip and see some of Sarah Levy's favorite holiday recipes. Disclosure: I was entered for a chance to win a Karo Syrup prize package in exchange for this post. No monetary exchange took place. All opinions are my own.